Delivering key insights & information behind Australia's Group One thoroughbred horse races. Form Focus Mobile takes selected Group One races in Australia and delves deep into the history and reveals trends of the race. 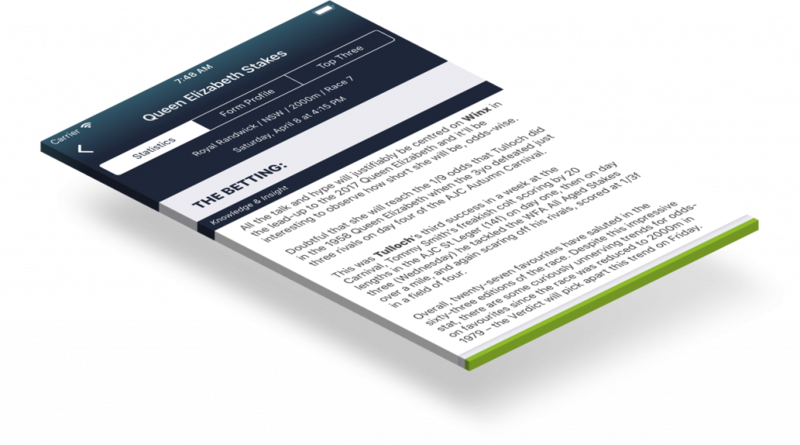 Form Focus’ Knowledge & Insight is available for free for each race, released typically the Monday before the race. The day before the race, Form Focus releases its Verdict which breaks down the final field and dissects each aspect of the race. Also included in the Verdict is Form Focus’ Top Three. Form Focus Verdict is only available on the iOS App before the race. The day after the race is run, the Verdict will become available on this website. Available for free on the App Store, for when you’re on the go. Get exclusive access to the Form Focus Verdict before the race is run, only available in the app.